Reannon was born in Monroe, NC and graduated from Piedmont High School in 1999. Upon graduating from Piedmont High she attended the Legal Administrative Assistant Program at King’s College in Charlotte, NC. She worked as a paralegal for various firms in the Charlotte and Monroe area from 2000 to 2009. Reannon joined the team at the Law Offices of Zachary A. Cohen in mid October of 2015, after spending six years in the medical field. 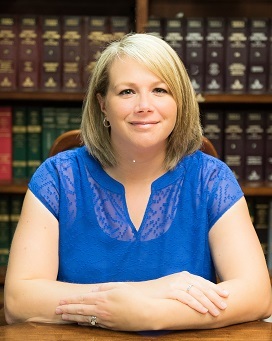 She possesses the knowledge, skill and experience to answer many of your questions regarding domestic proceedings including separation, divorce, equitable distribution, child custody and child support issues. Reannon takes the time to speak with each client about their individual issues, to ensure that she understands the client’s specific needs in order to provide the best possible assistance. It is Reannon’s primary objective to make our clients feel as comfortable as possible, during what is most often one of the most difficult times of their lives.